Topical oxygen reduces redness and soothes inflamed skin after just one treatment, leaving the skin smoother and more comfortable with enhanced clarity and tone. This professional treatment is great for improving a variety of skin conditions including acne, rosacea, and anti-aging. Oxygen facials involve the use of a machine which sprays atomized moisturizers onto your skin using a pressurized stream of oxygen. The treatment is purported to instantly hydrate the skin, making the face appear plumper and smoother. The facial delivers a mixture of hyperbaric oxygen and anti-aging serum traveling through an airbrush at high pressure. A majority of the people who use this facial approach, claim that the process helps make makeup application simpler since it gives the skin a moisturized and smooth surface. With this option, makeup can be applied immediately after, as opposed to standard facials which usually require a 12-hour wait before you can apply makeup. According to oxygen facial experts, the procedure combats visible aging sign linked to inadequate delivery of oxygen to the skin’s surface from the subcutaneous capillaries. The procedure addresses this insufficiency by delivering highly-concentrated molecules of oxygen directly on to the epidermis. When the stream of highly-pressurized oxygen, imbued with nutrient, mineral, vitamin and botanical extracts, is applied on to the skin, the oxygen helps absorb the essential moisturizing agents into the patient’s skin for a plumper, smoother look, and a healthier glow. Oxygen infusions may include brightening, antibacterial, green tea, collagen, and Vitamin C.
Before treatment, the client’s skin is exfoliated and cleansed to rid it of any surface impurities and dirt. Once clean, some Dallas oxygen facial service providers will use a pressurized oxygen bubble to infuse atomized moisturizers into the deepest layers of the patient’s skin. Since the molecules are tiny and are introduced to the skin using high pressure, the serum is able to penetrate the skin easily. The next step will usually involve a higher weight serum that reaches the top and middle layers of the skin for deeper hydration. Depending on your skin type and needs, a blend of botanical extracts, peptides, and antioxidants can be added to the moisturizing infusion. Natural skin brighteners such as Vitamin C and Alpha-Arbutin are great for hyper-pigmented skin while inflammation-fighters such as Yellow Dock are great for reducing redness. Oxygen facials promote collagen production. The infusion of vitamins and oxygen into the skin promotes the production of collage, which, in turn, helps restore firmness and volume to skin that’s lost its elasticity and plumps up facial features. The procedure also helps detox the skin. Everyday toxins such as cigarette smoke rob our skin of the oxygen it so direly needs. Oxygen facials help reverse the effects environmental pollutants have on the skin and help rejuvenate it. 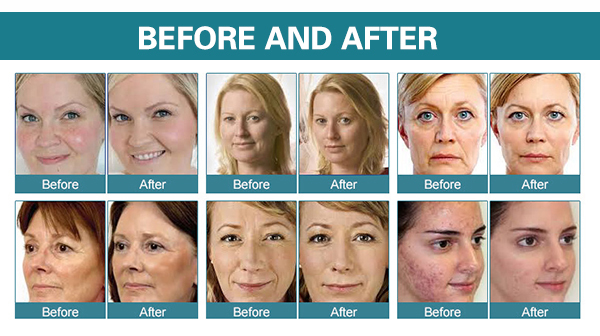 The oxygen facial procedure has no side effects. Unlike most invasive anti-aging treatment like microdermabrasion and Botox, oxygen facials do not cause or have any uncomfortable side effects like redness, burning, or stinging. The serum and oxygen delivery process are quite gentle, making the procedure ideal for individuals with sensitive skins and those who’d rather avoid chemical treatments or injections. 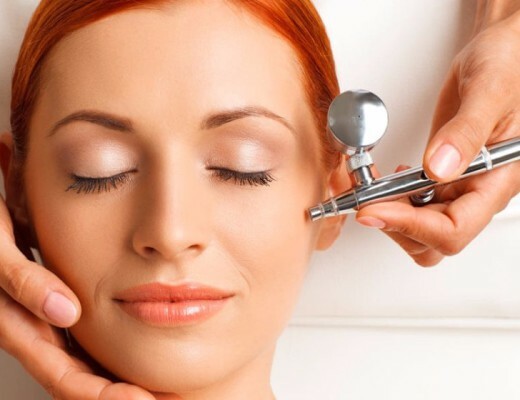 The great thing with oxygen facials is that you can resume your normal activities immediately after an appointment. Furthermore, you can apply your makeup and use your normal facial products immediately after. After your oxygen facial appointment, you can expect to see a more rejuvenated and refreshed complexion – leaving you looking well-rested with an ‘I’m-just-back-from-vacation’ glow.